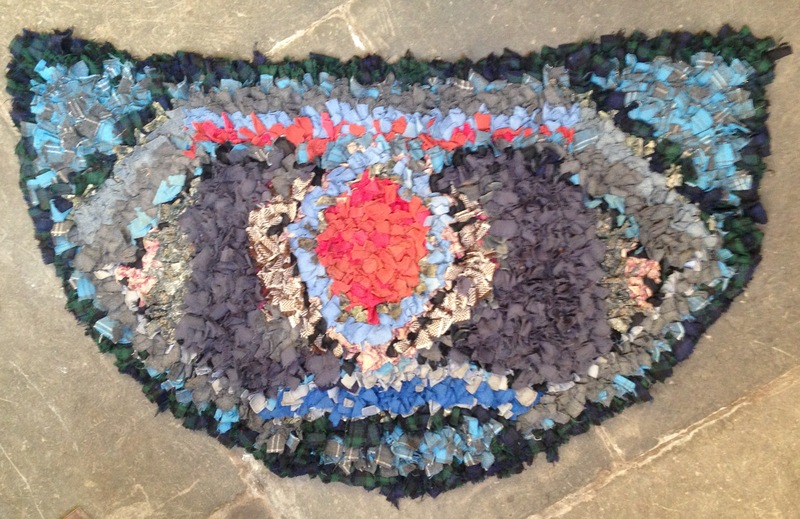 A work-in-progress from Saturday’s Rag-rug demo/drop-in at the Centre for Stewardship. 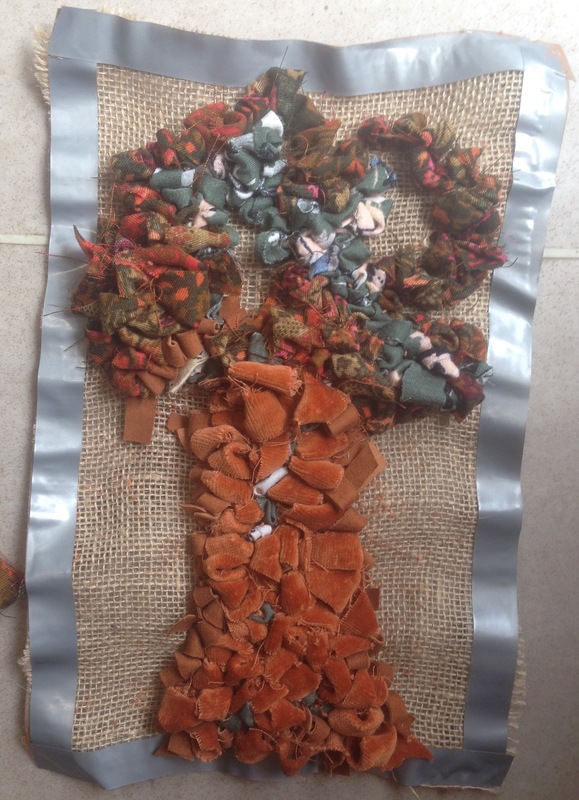 The visitor who stayed and made this amazing little tree found materials I’d never seen before in the scrap-bag – a small piece of soft tan suede and a lump of amber-coloured velvet curtain. She had a vision for the trunk of her tree and it worked beautifully. I hope she sends me a photo of the finished rug. At the end of January I started a new contract with the Fife Folk Museum in Ceres. I’m co-ordinating their Heritage Arts Hub activities over the next ten months, a programme funded by Young Start and the Robertson Trust. So I get to immerse myself in the Museum’s collection and work with its dedicated volunteer team and Trustees to invent events! Fab. I’ve been visiting the Museum for many years and last year curated an exhibition with the Woolly Tree Gang, showcasing their project work since their origins in 2012. 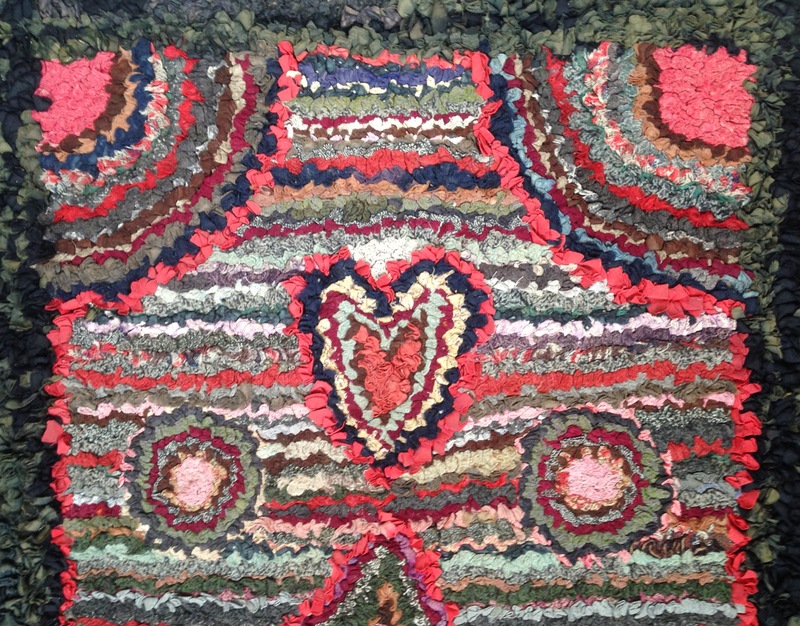 We did quite a bit of research in the Museum for the Living Lomonds Crafts of the Hills project in 2014 and the Gang made some lovely work inspired by the collection – including several rag-rugs. 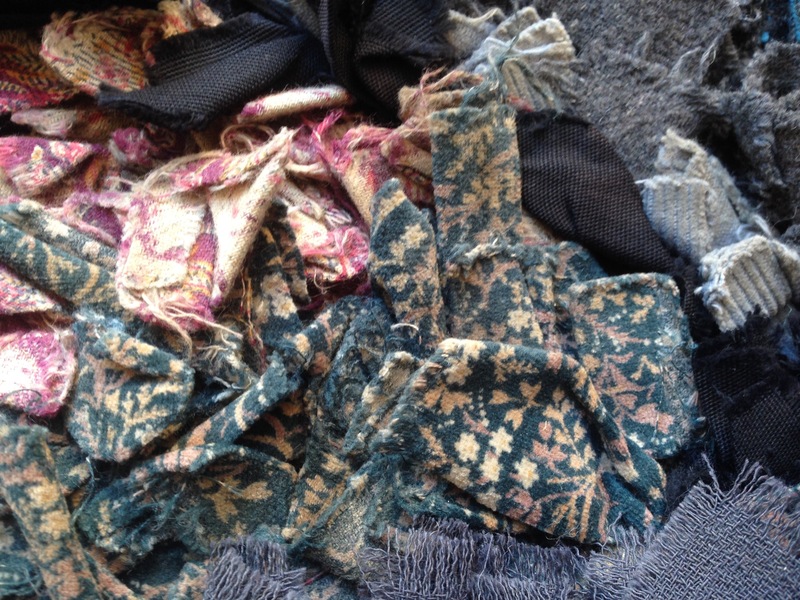 This theme continues, as Museum volunteers Sue and Alison found another five rag-rugs for me to look at on Monday. 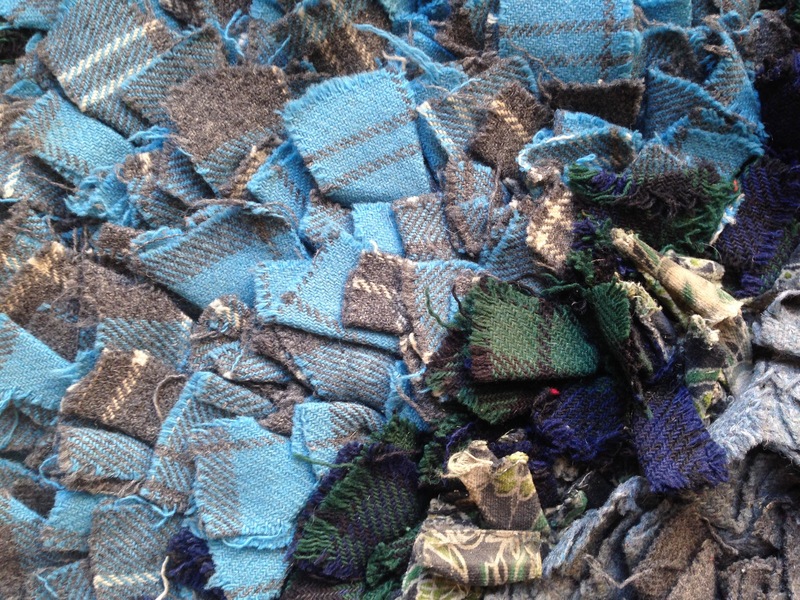 I had a closer look at this ‘half-moon’ rug, a very shaggy, slightly wonky design containing lots of tartan fabric. 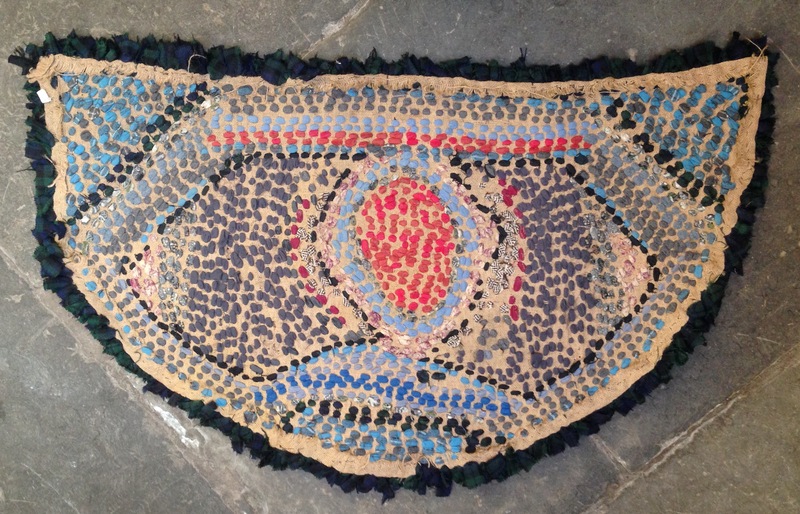 The Museum record card describes it as ‘a “d” shaped rag rug for in front of the fire’, donated in 2003 by Jennie Simmons of Cambo. We’d love to know more. Did she make it? If not, who did? How old is it? What were the pieces of fabric before they were cut and hooked into the hessian? Old kilts? Ladies country-dancing skirts? 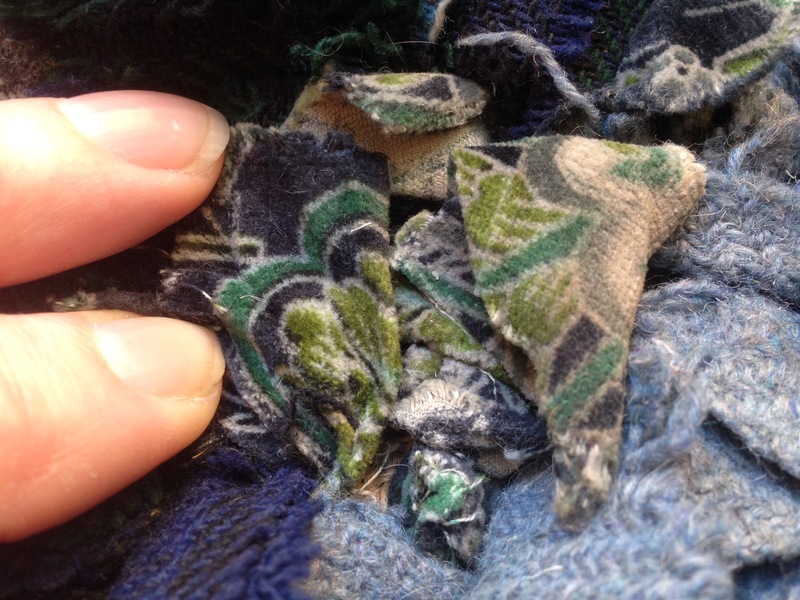 We’ll carry on with the ‘fabric forensics’ and see what else we can find out. Offers of help welcome. 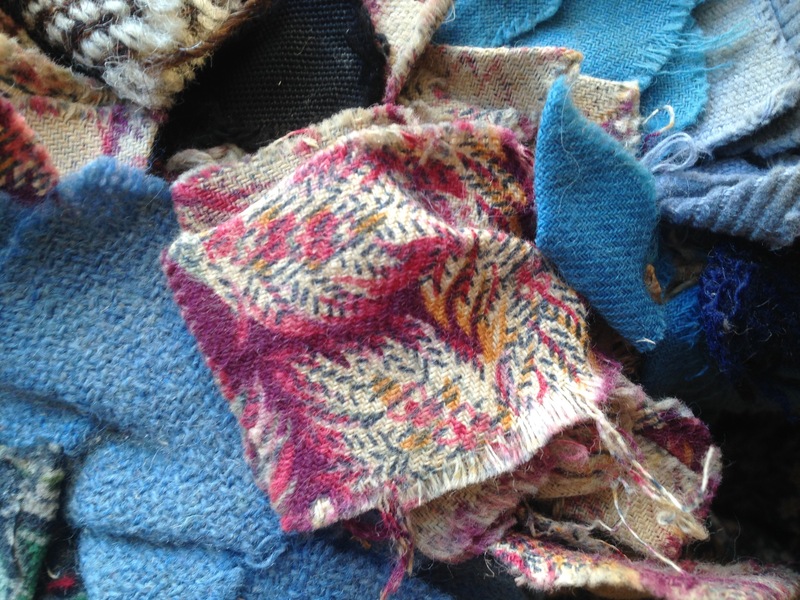 I’m planning rag-rug related activities for later in the season, keep an eye on my blog, the Museum’s website and social media for information about these and other Heritage Arts Hub events. The Museum opens on 1st April, the Cafe is open all year, every day except Mondays.